Good morning! There's a special post for You today! A POST LINKUP to be exact. If you've never heard of it, please head over to Meg & Victoria's blog THE WELL, and read more about this wonderful idea, so maybe you can participate in it next month, too! 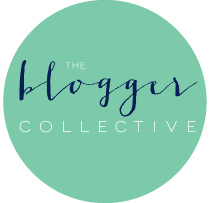 It's a perfect way to connect with other bloggers and maybe, hopefully, to inspire one another. Who are your three favorite Instagrammers and why? Andee Layne. This beautiful California mama of two always makes sure she and her babes look fabulous and happy. I find a lot of inspiration in any of her posts and only hope that one day I could look as effortlessly stylish as she does. 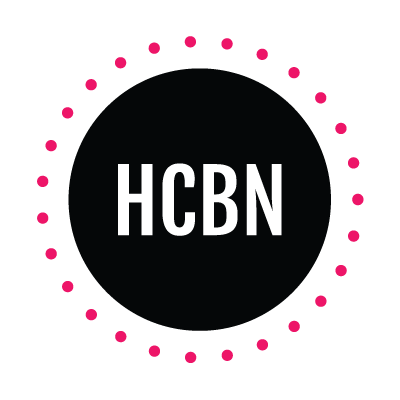 Not to mention her blog - The Honeybee - which you should screen on repeat from now on if you haven't already. Andee writes not only about fashion, but also a healthy lifestyle and beauty + you can also shop some of her wonderful outfits (and her little girl's Ava) as well. So go ahead and make sure you follow her on Instagram and oh, by the way, don't forget to congratulate her on the little boy she just had! Sazan Barzani is yet another beautiful woman I love to follow on Instagram for many different reasons. This Kurdish / Texas born / LA based fashionista is such a positive spirit, I have no doubt you'll love her at the first sight. 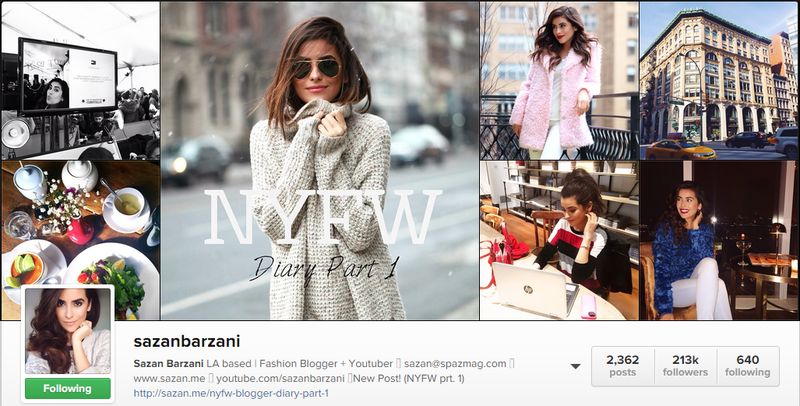 Besides her blog - SAZAN - she also makes wonderful, insightful YouTube videos with a great dose of humor. Her personality shines bright through the screen and ignites the room you're in. I wish her all of the success because the hard working woman that she is, she definitely deserves the best. I guess by now you noticed a pattern of some kind. Yes, most of the people I follow are bloggers, and a big part of them are beautiful mothers, who manage to take their business to another level and still be successful at home. I simply look up to all of them and applaud them for being so awesome at what they do, because one day I hope to manage it all as well. And that is why I could not write this post without mentioning my third favorite persona that I follow on Instagram. 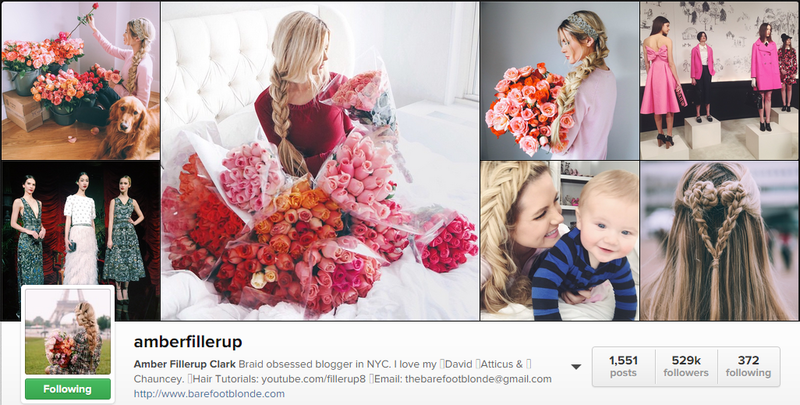 Amber Fillerup Clark is a fashion and beauty blogger (and a mother) who currently lives with her family in New York City. I said currently, because if you follow her adventures, you'll see that she and her family move around a lot. A passion for traveling is one of the things I admire in her, and still remember when I read once on her blog - BAREFOOT BLONDE - that instead of presents her family likes to do trips. I was definitely inspired by this thought and am trying to install the same approach with my friends and family from now on. 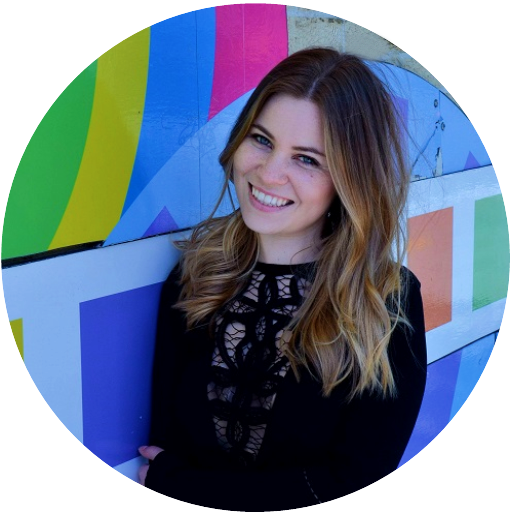 Do not miss out on Amber's wonderful posts, make sure you follow her today! Who are your favorite Instagrammers? 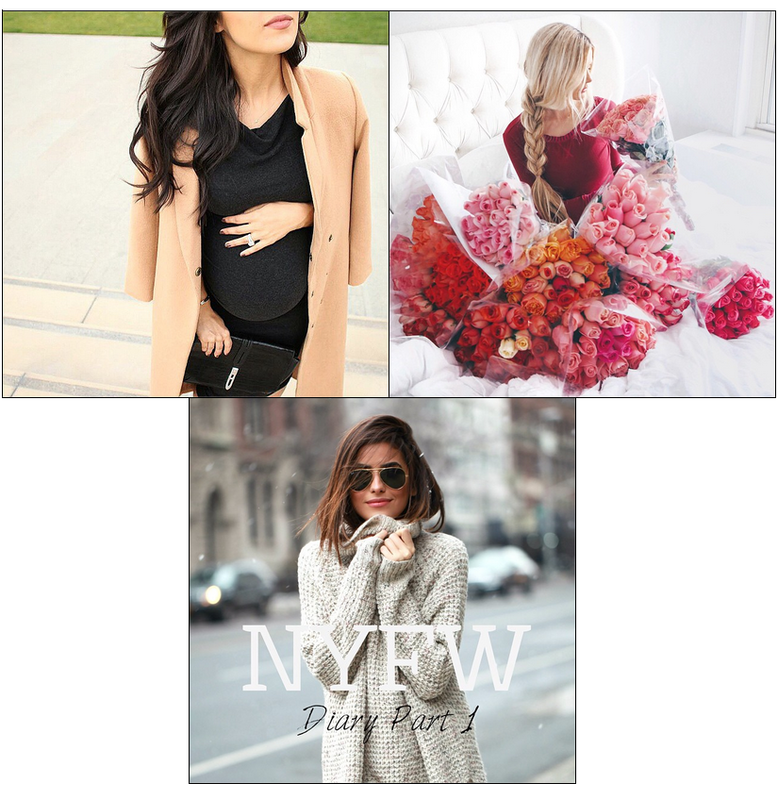 If you're looking for some inspiration, please read what other bloggers had to say about their favorite Instagram accounts in this month's LINKUP! Beautiful & inspiring accounts - can't wait to follow along!! It was so hard to narrow it down to just three! There are so many wonderful people out there worth following. Thank You Annie for stopping by! I came across Andee recently and fell in love with her daughter....she's darling!! Can you imagine how adorable she will be with her little brother?! What a beautiful family! Love the picks! Those flowers are just TO DIE FOR! Haha I guess every woman dreams of waking up to a bed of roses at least once in a lifetime :D Amber can check it off of the list! Yes Andee's daughter is so adorable!! Loved these picks and I definitely wish I had Amber's hair styling skills. Great linking up with you! Thanks for stopping by, Cassandra! Throwback Thursday: VENICE BEACH, CALIF.